We seem to have a pretty constant rotation of birthday parties these days. Although we love the parties and celebrations, I am not a big fan of running around trying to come up with gifts. 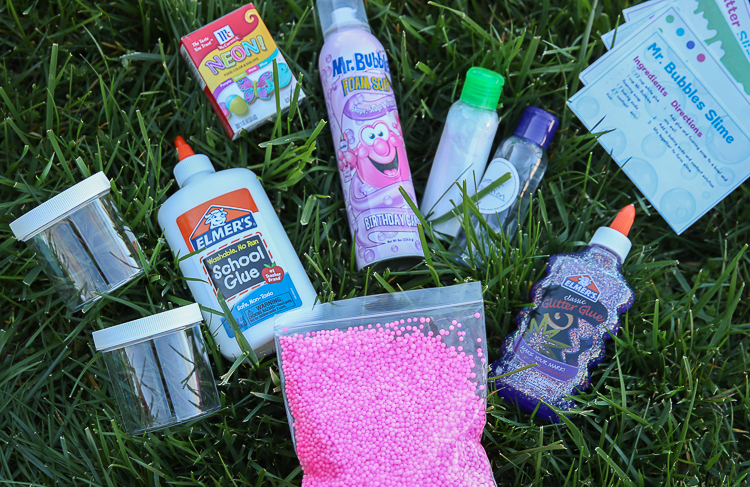 Almost every kid we know these days is super into Slime and many even ask for slime supplies for gifts. 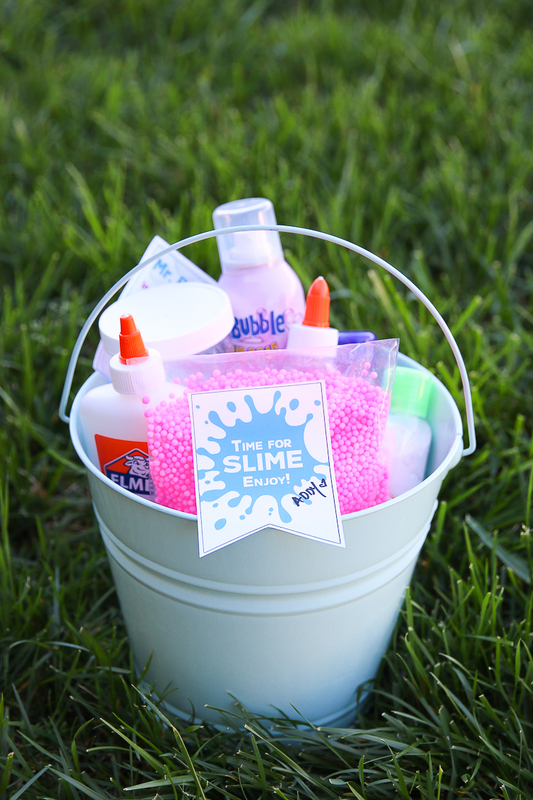 So I have started making these little slime gift packs and so far they have been a big hit! In fact, at my 8 year old’s last slumber party another little girl said “Hi. I plan to invite you to my birthday so you can get me one of those buckets too.” Ha ha ha! Nice to meet you too! Simple, you can customize in the colors you like, buy all the supplies at once to make several gifts and you are totally set. Ready for the next party. 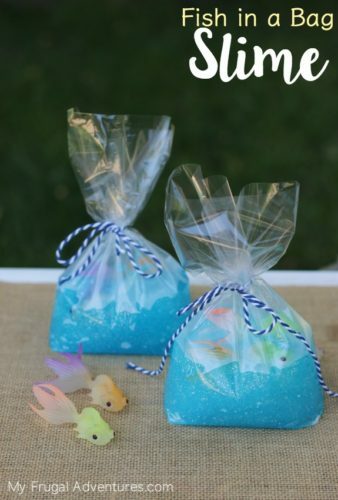 This is also a very cute and practical Easter basket idea instead of mountains of candy. 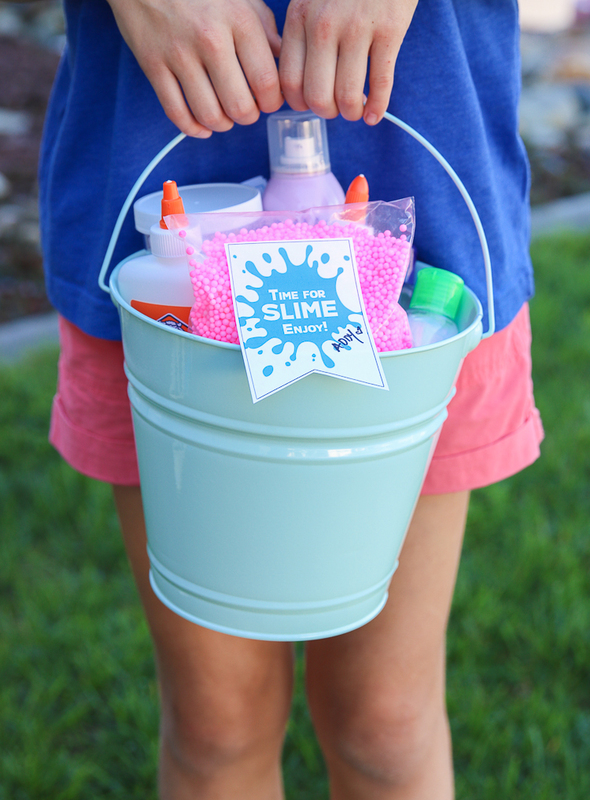 To make things even simpler, I have included a printable recipe sheet with recipes for (4) popular slime variations and a little gift tag that can be used for any celebration or even as a party favor for slime themed birthday parties. 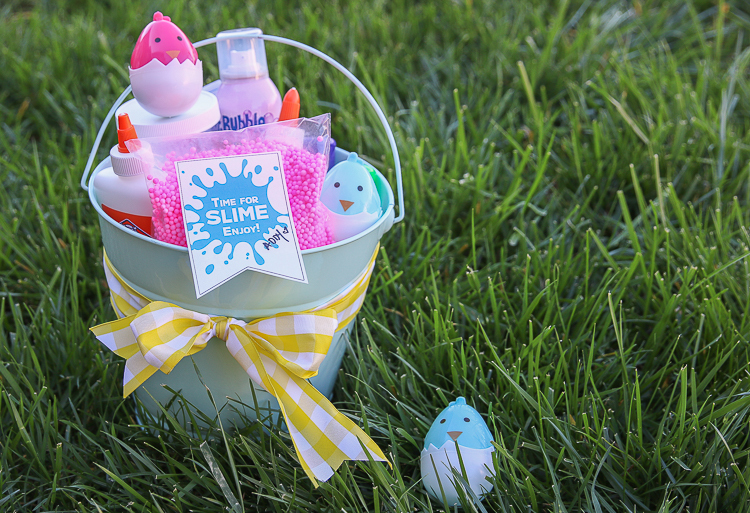 Here is a simple Easter variation just adding a little candy and eggs. Include them all, along with the supplies, or just pick out the ones you like best. This is what we have been including in our buckets- note we (finally!) got our Daiso clay for the butter slime after I photographed this bucket so that is not pictured but has been included for the butter slime. Daiso Clay – if you have a Daiso store nearby this is significantly cheaper but I find inventory is hard to get and colors are not always desirable- we got brown last time. 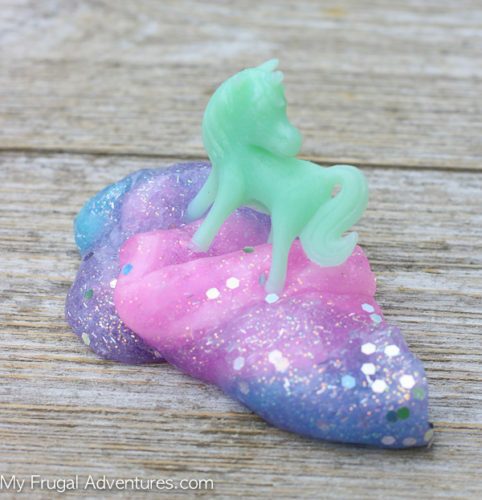 You can also use Model Magic instead for butter slime. I believe the entire cost for this bucket including the Daiso clay was about $21. We typically spend about $25 on birthday gifts so I grab a fun candy and tuck that inside the bucket as well. 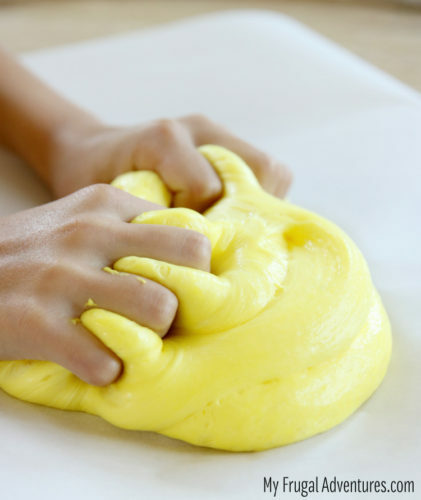 If you would like to print out the free slime recipe cards you can click here. To get the printable gift tags click here. Please note these printables are made for readers of My Frugal Adventures only and are for personal use only.